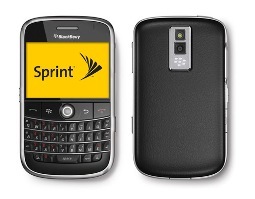 Sprint appears set to sell two new Blackberry devices – the Blackberry Tour2 and the Blackberry 8230. According to MobileCrunch, Sprint is set to sell two new Blackberry devices, according to a screenshot of Sprint’s inventory system. Apparently, it’s bee a long time since Spring released a new Blackberry device. But if you’ve been waiting on Sprint to come through with a new Blackberry, your wait might just be over. Even though Spring may be selling two new Blackberry devices, how relevant is the Blackberry anymore? Sure there are Blackberry fans that will always own the Blackberry, but what about where Blackberry stands in the mobile market place. With full screen, web app driven data devices like the iPhone, Nexus One, and Droid phones, Blackberry seems to be falling behind the times. What do you think about Blackberry these days? Are they losing relevance in the mobile market place?